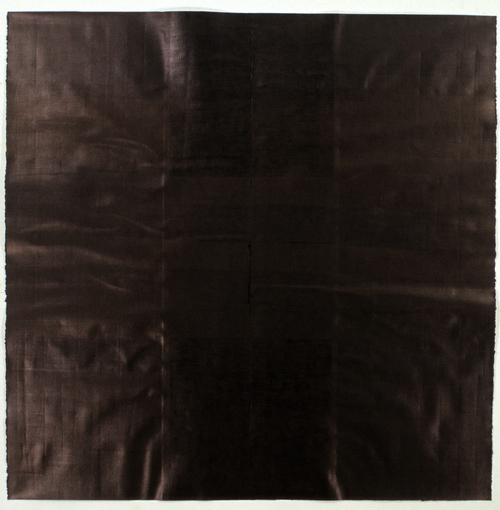 “Trismegistus” 2012, oil on canvas over board (in three parts), 49.375 x 49.625 inches. I’m very excited to be participating in a group show opening Saturday, November 21st at the newly opened Stout Projects in Brooklyn, NY. This will be their second exhibition and I am in incredibly good company with the likes of Karen Baumeister, Jonathan Cowan and Debra Ramsay. 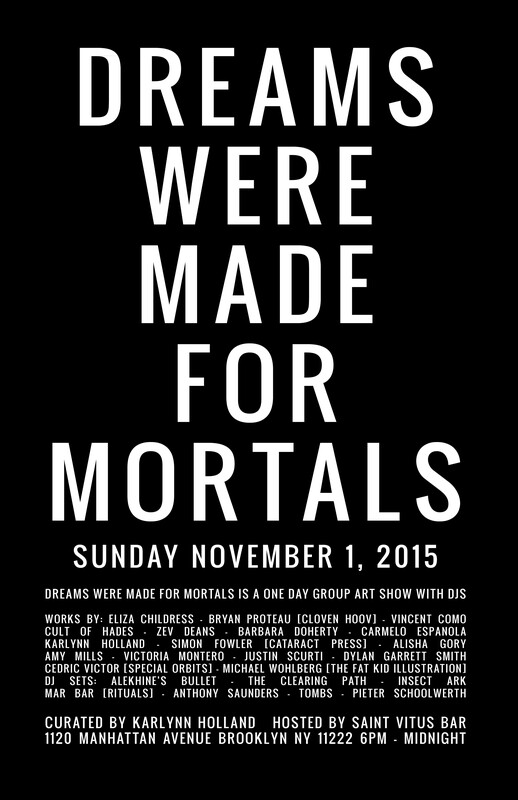 The exhibition opens Saturday, November 21st from 2-4 pm and will run until December 20th. There will be an artist talk on Saturday, December 19th at 2 pm. Check out the interviews at Cvlt Nation! 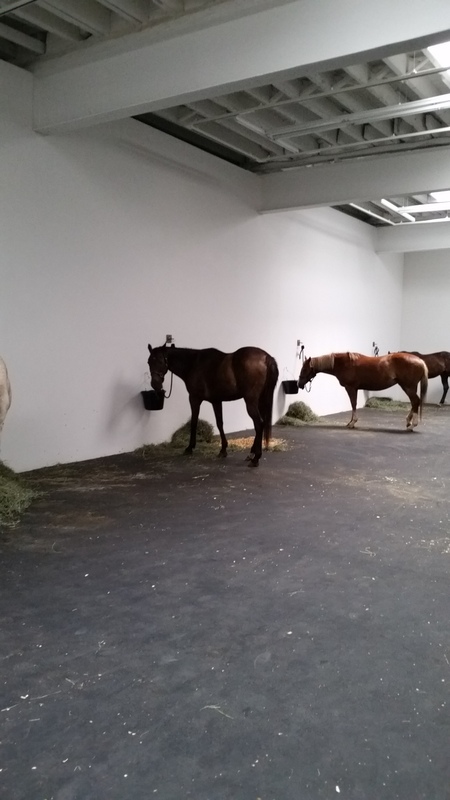 Jannis Kounellis “Untitled (12 Horses)” at Gavin Brown’s Enterprise, June 2015. I’d heard GBE was moving up to Harlem, but didn’t pay too much attention to dates or other particulars, until I found out that for the farewell to the space they were mounting a very short run of Kounellis’ iconic Untitled (12 Horses) from 1969. I’d also heard about a growing line to get in on Friday, so knowing that Saturday was the last chance, my wife and I made sure to show up early. We saw the empty space getting prepped before the horses arrived, watched as the other curious parties started to show up, and then watched as the artwork arrived. All neatly packed into a trailer. The grooms walked them into the gallery in twos, and afterwards the staff tried to corral the growing crowd into some semblance of order, which was met with far more resistance to very simple instructions about lining up than should be necessary for a group comprised mostly of adults. They had a second line for people with small children, which was really smart, as nobody would have wanted to be stuck in line with a child that was melting down. We stood in line for probably just under an hour before getting in. I’d basically already waited 20 years to see this work of art, an experience that I didn’t think would ever actually happen, so an hour was not terribly relevant at this juncture. Visual Art, as we have come to call it, is a terribly incomprehensive description of how we understand and navigate the useless things and ideas we place into the space of this world. While we are heavily reliant upon our sight, we don’t often take note of how our other faculties play into “reading” our surroundings. The power of smell to drag memories deep out of one’s consciousness, the scale of a physical relation, the sounds of urban life. There is a whole set of kinesthetic understanding we tend to ignore or overlook regularly. However, when there is something active inside a space, it is charged with a significantly different energy than when you are in a static room. You can feel it with the hairs on your forearms. Your senses are tuned in, even if your head is not. That’s where the power of this particular work resides. That’s the impossible nuance that is created by an artist who understands these things, and is given the opportunity to share this experience with us. This was really something. Thank you, Jannis Kounellis. Thank you, Gavin Brown’s Enterprise. Thank you, Cheim and Read. You have created something beautiful, something temporary, something that we cannot take with us. Coloring the Black will be a one-day symposium on Black Metal Theory to be held in Dublin on Friday 20th March, 2015. It will be the latest in a very successful series of events which have focused on black metal music, contemporary theory, philosophy, art, aesthetics, and music. The symposium has three primary aims: firstly, to challenge the potentially ponderous and serious nature of black metal theory, secondly, to question the black/white binary which dominates theorizing about black metal music and aesthetics, and thirdly, to foreground diverse, marginal, and intersectional black metal voices, readings, and practices. It is our sense that Black Metal Theory runs the risk of taking itself far too seriously with the unfortunate result of taking the fun out of talking and thinking about black metal. More worryingly, it may end up establishing a KVLT BMT which would police or limit the potentialities of Black Metal Theory. In response to this we wish to open up the more comedic, playful, camp, ludic, carnivalesque dimension of black metal and black metal theory. In so doing, we set out to “pink” black metal by questioning its more nihilistic impulses (“blackening” and more “blackening”) in favour of more affirmative approaches and utilizations of BMT. Our second sense is that there has been an almost exclusive attention to black or to black and white (in readings of corpsepaint, or noise for example) which has the effect of instantiating a binary which even a focus on “green” black metal has done little to disturb. In our coloring of the black we wish to open up Black Metal Theory to a broader spectrum beyond the black, a more prismatic and multicoloured BMT. Inspired by Jeffrey Jerome Cohen’s recent collection of essays Prismatic Ecology: Ecotheory Beyond Green (which includes essays by two contributors to black metal theoretical discourse in Ben Woodard and Timothy Morton) we hope to widen out the color spectrum of BMT to red, blue, pink, orange, green, gold, brown, violet, ultraviolet, grey and others. Coloring the Black will bring theorists, philosophers, artists, musicians, and aestheticians together to have a black metal party. Participants: Andy Curtis-Brignell, Vincent Como, Laina Dawes, Caoimhe Doyle, Drew Daniel, Daniel Lukes, Jonathan Mayhew, David Murphy, Darragh Ó Conchobhair, Ian O’Rourke, Michael O’Rourke, Stanimir Panayatov, Christophe Szpajdel, Dara Waldron. 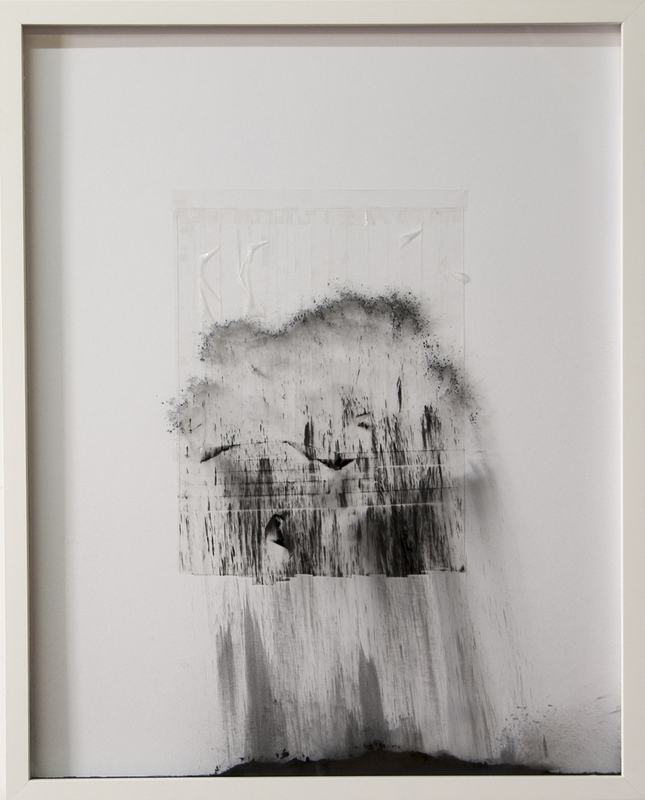 Vincent Como “Procession of Dust (Entropy, Ontology, and the Hubris of Mankind) 002”, 2014, Frame with Dry Pigment and Double Sided Tape. 16 x 20 inches. I’ve been included in a brief survey of artists who use black on Vice’s The Creators Project. Give it a look.